Who won Amir Khan vs Terence Crawford? How did the fight end? LOS ANGELES — It was 10 years, three teams and one career ago, but Brad Ausmus remembers the game — May 17, 2010, on the road against the Florida Marlins. Clayton Kershaw carried a no-hitter through seven innings that night, but it was the way he went about it — with a changeup, the one pitch that has given him fits throughout his career — that made it so memorable. Rick Honeycutt, now 14 years into his role as the Los Angeles Dodgers‘ pitching coach, remembers Kershaw throwing 17 changeups that start. PITCHf/x identified 11, a robust total nonetheless. Five of them generated swing-and-misses and none of them resulted in hits. It was a success rate that never repeated itself. Andrew Friedman has built a 90-win machine in L.A. We examine just how long it would keep producing on autopilot. The former phenom talks about coming back from shoulder surgery, pitching in October and looking past another Dodgers lefty’s legacy. Not long thereafter, Kershaw developed a devastating slider to pair with his fastball and curveball, a legitimate third pitch that helped turn him into a dynamo. The changeup faded into the background, partly because he couldn’t command it and partly because he didn’t require it. He toyed with it often, usually in the spring, then basically forgot about it as seasons progressed. Over the past five years, it appeared less than 1 percent of the time. 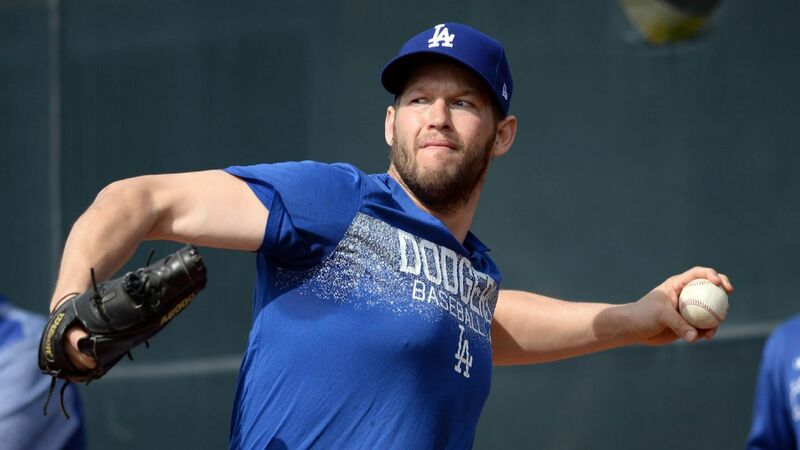 Dodgers president of baseball operations Andrew Friedman has stated often, somewhat playfully, that the back half of Kershaw’s career will consist of him relying on changeups to dominate opposing hitters. It’s Friedman’s way of saying that Kershaw will always find a way, regardless of diminishing stuff, but the literal aspect might ring true. As the velocity of his fastball diminishes and the break of his slider erodes, Kershaw might soon need the changeup as a pitch to tail away from right-handed hitters and provide a different look out of his hand. The Dodgers, who will welcome Kershaw back to their rotation for Monday’s start against the Cincinnati Reds, don’t believe he’s there just yet, even after a spring plagued by shoulder inflammation. Dodgers manager Dave Roberts brought up Kershaw’s ability to locate his fastball, slider and curveball, adding that “the sequencing part of it is plenty good enough for Clayton to be the elite pitcher that he is.” Roberts also alluded to Kershaw beginning to work the outside corner against right-handed hitters, a strategy he went to more often last season. Honeycutt is simply hopeful that better health will restore Kershaw’s natural arm slot, helping him throw his fastball and slider more effectively. Honeycutt relied heavily on sinkers during a pitching career that lasted 21 seasons. He threw pitches with natural pronation in his arm motion, which also made it easy to execute changeups. Kershaw, Honeycutt explained, throws from a high release point and with backspin, making it difficult for him to produce the arm-side movement that good changeups generate. Kershaw used the changeup as his third pitch for most of his first three seasons, but it never felt right. From 2011 to 2015, Kershaw accumulated three National League Cy Young Awards and an MVP. He won 88 games, put up a 2.11 ERA, averaged 226 innings and was worth 37.6 FanGraphs-based wins above replacement (WAR), far more than any other pitcher. The success rate continued thereafter, but Kershaw’s health began to abandon him; each of the next three seasons included time on the injured list with back problems. The ERA (2.26), the WHIP (0.91) and the strikeout-to-walk ratio (7.56) all ranked within baseball’s top three from 2016 to 2018, but the diminishing velocity, exacerbated last season, signaled looming trouble. Kershaw signed a three-year, $93 million extension five days after the 2018 World Series, then talked about how the deal was “a chance to prove a lot of people wrong” and expressed a desire to regain the velocity on a fastball that had sunk into the low 90s. He has since backed off those ambitions in public settings. Instead, he talks about how much he has grown since then. Kershaw has always admitted to being stubborn and has come to realize how essential it was to his greatness. Some degree of rigidity remains important. Kershaw, now 31, doesn’t know what that change will look like just yet. He finds himself being more open-minded in all aspects of his job — in the weight room, with the trainers, on the pitcher’s mound — and doesn’t see himself chasing velocity. Kershaw still occasionally messes with the grips on his changeup and still includes the pitch as part of his between-starts bullpen session. Sometimes, if the scouting reports indicate that certain hitters are susceptible to changeups, he might even bring a handful of them into a game. Roberts has noticed a more concerted effort to develop that pitch, but even that will make only a marginal impact on its usage this season. But will it need to be? And, just as important, can it be? Kershaw believes he can master the changeup if he prioritizes it. ANAHEIM, Calif. — Los Angeles Angels slugger Albert Pujols surpassed Babe Ruth for fifth place in baseball history with his 1,993rd career RBI. 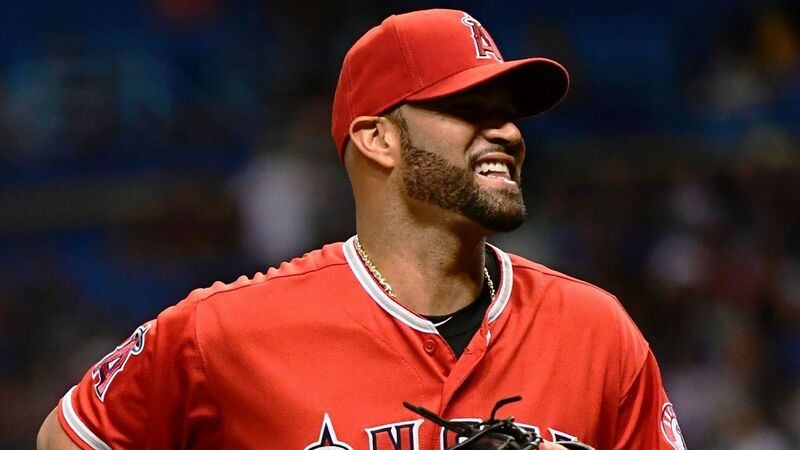 Pujols passed the Babe in the ninth inning on Saturday night with a solo homer to center field off Anthony Swarzak, though the Angels lost to the Seattle Mariners 6-5. Earlier, Pujols had tied Ruth’s mark in the third inning when he drove home Andrelton Simmons with a double off Seattle’s Yusei Kikuchi. Pujols only passed Ruth according to baseball’s official starting point for the mark. RBIs weren’t an official statistic until 1920 — Ruth’s first year with the Yankees, though his career began in 1914 with the Boston Red Sox. Pujols is also closing in on Lou Gehrig (1,994) and Barry Bonds (1,996) on the career RBIs chart. Hank Aaron (2,297) and Alex Rodriguez (2,086) lead the list. 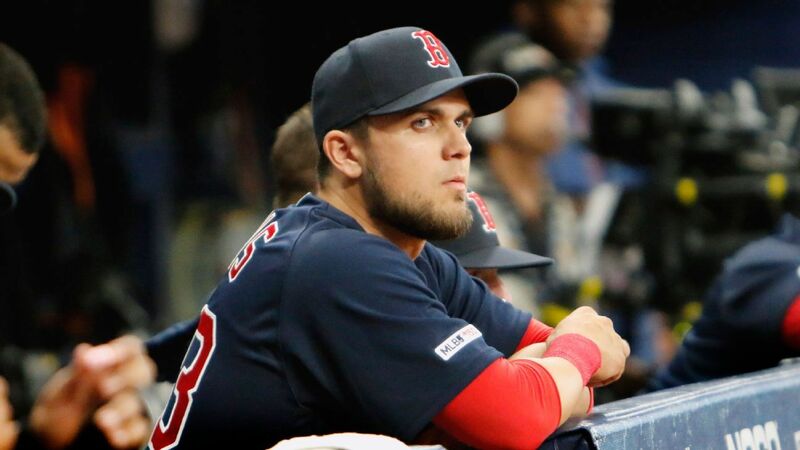 ST. PETERSBURG, Fla. — As he packed for a quick three-game road trip to Syracuse, New York, on Thursday, Michael Chavis stared at his bag, then his locker, and again at his bag. He’d packed too much stuff. He didn’t need all those gloves, bats and knickknacks, he thought. Just three T-shirts and a pair of jeans. After all, the Triple-A Pawtucket Red Sox were scheduled for only three games out of town, just a quick weekend getaway. He figured he’d be back in Pawtucket on Monday. But a phone call, a turbulent flight, a hectic trip into an airport clothing store and a quick ride to the ballpark later, Chavis found himself standing in front of a locker at Tropicana Field, home of the Tampa Bay Rays. So he was very much not in Syracuse, let alone Pawtucket, Rhode Island. He was more than 1,300 miles away and not even knowing the day of the week off the top of his head. Everything started a little over 24 hours earlier, when Chavis woke up at 10:45 a.m. on Friday in Syracuse to three missed calls from PawSox manager Billy McMillon, who told him he’d been called up to the big leagues. As he began to gather his stuff, Chavis FaceTimed his mom, Dorothy, who immediately began crying. She’d taken up a second job at night to help pay for Chavis’ travel baseball as he was growing up. Then came phone call after phone call after phone call, from friends to family. As the news broke, text messages began piling up, nearly 600 by the end of the night. Chavis quickly packed his stuff at the hotel and the ballpark before jolting to the Syracuse airport to catch his 1 p.m. flight to Detroit, where he’d connect through to join the Red Sox in Florida. The plane, a small jet, hit turbulence on the short hourlong flight. When he landed at the Detroit airport with 45 minutes to spare before his next flight, Chavis realized he didn’t want to walk into his first big league call-up wearing a T-shirt and sweatpants. “I need something to look nice,” he told himself. Frazzled and hungry, he hustled into a clothing store, not even checking what store he was entering, and immediately sought help from the retail employees. He had 10 minutes to find a button-up shirt, jeans and shoes that fit him. “What’s going on?” one employee asked. The store’s employees shuffled him into the storage room, the closest thing they had to a changing room, so he could try on the impromptu business-casual uniform. Chavis pulled out his phone and turned on the front-facing camera to make sure everything fit and rushed off to his flight. Texts kept pouring in as Chavis anxiously awaited landing in Florida. His brother, Fuzzy (real name: Christian), was driving down from Alabama along with five other close friends and family. Meanwhile, Red Sox officials kept texting, asking where he was as the game was about to begin. After landing, Chavis called an Uber, which dropped him off three blocks from the stadium. With his backpack, suitcase and a bag full of personal items on him, Chavis walked toward the stadium. His phone buzzed — a text from Fuzzy. “You beat me here,” Chavis said. Chavis arrived in the Red Sox clubhouse in the fifth inning. And before he had a moment to appreciate his arrival in a big league clubhouse for the first time, Boston coach Ramon Vazquez told him that the team might need him to pinch hit in two batters. Rookies, he’d heard, always get messed with during their first stint in the big leagues. There he stood, in jeans and a shirt. He hadn’t stretched. He didn’t know what pitcher the Red Sox were facing. He hadn’t seen a single scouting report. But Vazquez wasn’t joking. “I didn’t even get to tell him congratulations,” Vazquez said. As Chavis quickly warmed up in the batting cage, catcher Christian Vazquez knocked a two-run homer into center field, giving the Red Sox a 4-1 lead, negating any need for him to pinch hit, giving him a night to rest. On his second day in the big leagues, Chavis went through his normal routine, trying to stay in the moment and not overthink things just because he’s now in the big leagues. For the past few years, Chavis had slowly started to see the other high school players from the 2014 draft make their major league debuts. But now that he’s made it here, Chavis is trying to keep things as normal as possible, which is much easier said than done. When Rays outfielder Tommy Pham hit a solo homer off reliever Matt Barnes to tie the game 5-5 in the eighth inning, Chavis knew he would be hitting in the ninth. And he knew that in Rays star reliever Jose Alvarado, he had a big challenge ahead of him. With outfielder Jackie Bradley Jr. on first base and the score tied 5-5 with one out, the count on Chavis tallied to 1-2, and Alvarado called timeout. Chavis, feeling his knees literally shaking, took a moment to gather himself before driving a 99 mph slider from Alvarado straight over the head of center fielder Kevin Kiermaier. His first big league hit — a double — set up the go-ahead RBI sacrifice fly from Andrew Benintendi for a 6-5 Red Sox victory and put Boston in position to sweep the series with a win on Sunday. That’s why Chavis, the No. 5 prospect in the Red Sox farm system according to ESPN’s Keith Law, is up in the big leagues in the first place — his bat. In 12 games and 40 at-bats this season in Triple-A, Chavis had four homers and was hitting .250/.354/.600. Manager Alex Cora said Chavis will make his first major league start on Sunday in the series finale. Ultimately, Boston will look to its top prospect to fill multiple positions, including first, second and third base. “There’s no lack of confidence,” Cora said. Chavis said he’ll be giving the ball from his first major league hit to his mom, as a thank-you for the sacrifices she made for him. And as the night of his first game ticked away, the rookie infielder stood in the Tropicana Field visitors’ clubhouse, trying to absorb everything that had just happened. ANAHEIM, Calif. — Los Angeles Angels slugger Albert Pujols has tied Babe Ruth for fifth place in baseball history with his 1,992nd career RBI. Pujols drove home Andrelton Simmons with a double off Seattle’s Yusei Kikuchi in the third inning Saturday night. Pujols only tied Ruth according to baseball’s official starting point for the mark. RBIs weren’t an official statistic until 1920, and Ruth’s career began in 1914 with the Boston Red Sox. Pujols is also closing in on Lou Gehrig (1,995) and Barry Bonds (1,996) on the career RBIs chart. Hank Aaron (2,297) and Alex Rodriguez (2,086) lead the list.